Master Choa Kok Sui often accepted that he was not born a healer but that he gained true mastery of Energy through his dedicated research and love for humanity. He believed in the Law of Correspondence, that states that whatever affects the energy body or aura, affects the physical body and vice versa and that whatever happens to the energy body manifests itself in the physical body. Master Choa Kok Sui offered to heal attendees and their loved ones across all five continents. Many received instantaneous healing from both physical and psychological chronic ailments. 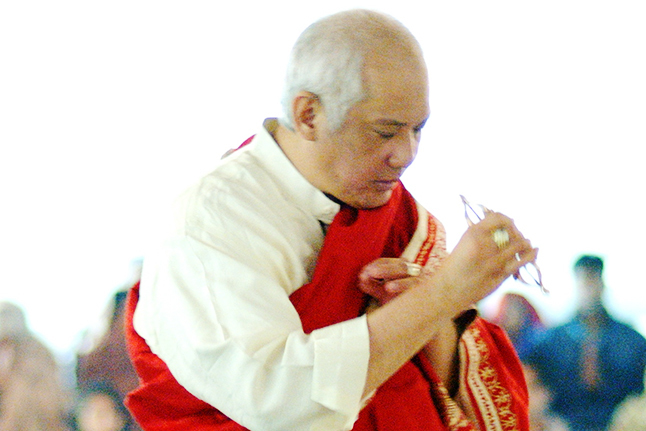 The remarkable degree of proficiency that the Grandmaster gained in his lifetime is a true inspiration to all seeking to pursue Pranic Healing.